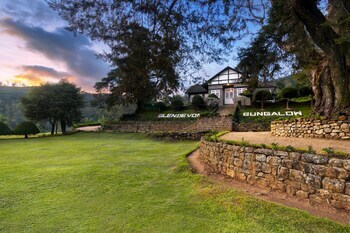 With a stay at Scottish Planter Glendevon Bungalow in Ragala, you'll be 10.8 mi (17.4 km) from Pedro Tea Factory and 12.1 mi (19.5 km) from Lover's leap Waterfall. Featured amenities include complimentary newspapers in the lobby, dry cleaning/laundry services, and a 24-hour front desk. Free self parking is available onsite. Located in Tissamaharama, Sanoga Holiday Resort is a 1-minute drive from Tissa Lake and 9 minutes from Yatala Dagoba. Free self parking is available onsite. When you stay at Akash Villa in Mirissa, you'll be near the beach and 9 minutes by car from Mirissa Fisheries Harbor. Free self parking is available onsite. Located in Mirissa, Sounds of Nature mini hotel is a 3-minute drive from Mirissa Beach and 7 minutes from Mirissa Fisheries Harbor. Free self parking is available onsite.